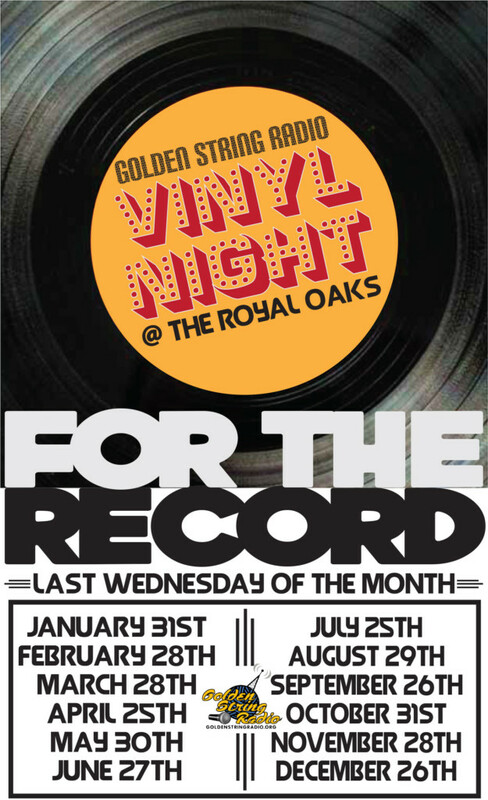 It’s here… Golden String Radio Vinyl Happy Hour at The Royal Oaks! It starts on Wednesday, January 25 and will happen every last Wednesday of the month. Come take in delectable selections from the kitchen, bar and the turntables in that hometown family atmosphere of The Royal Oaks you’ve come to know and love. Head to The Royal Oaks after work and enjoy handpicked tunes by DJs David Woodard and Richard Elmsworth while sipping on special drinks (brought to you in part by Tahitian Treat soft drink). 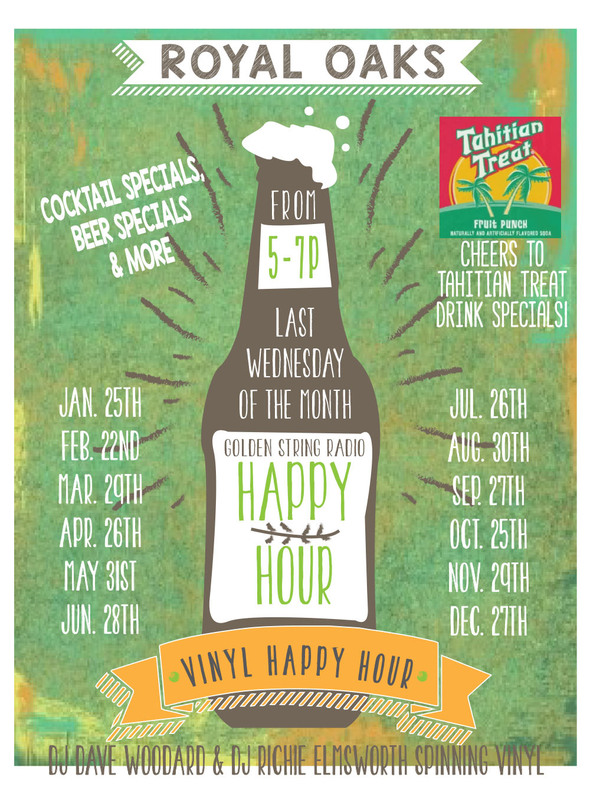 Check out our own Tahitian Treat promo featuring Golden String Radio DJs, Scott Mincher, Radar Pavlov and Kristen Seidler. We can’t wait to get this party started! See you soon!